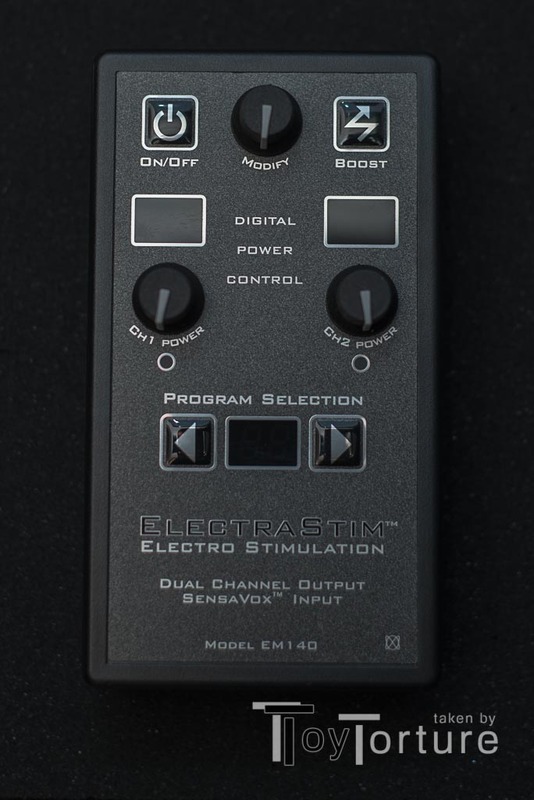 It is becoming a bit of a tradition that after each E-Stim Special I am getting inundated with questions about toys I have not reviewed yet. Despite having already reviewed half a dozen different power boxes there are still popular models out there which I have not covered. This review should answer a few of these questions. 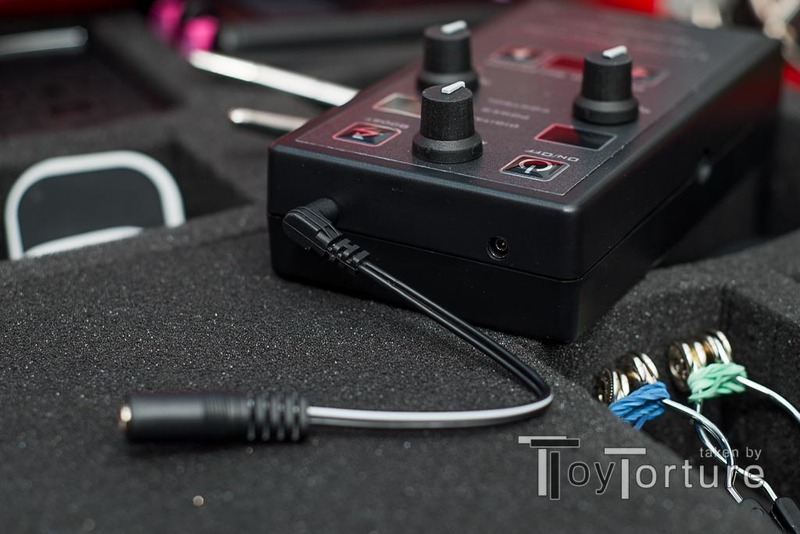 Like most premium e-stim power boxes the SensaVox comes in a sturdy black carrying case. The inside is lined with foam which has cut outs for the power box, a (spare) battery, the audio adapter and space for cables and accessories. 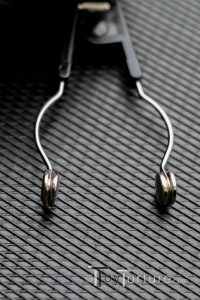 If use the SensaVox just with batteries when playing outside your playroom there is enough space for some pad electrodes, conductive loops, e-stim sounds and even a small bi-polar electrode. But when you open the case for the first time, it is packed with stuff: First there are the essential things like the actual power unit, two 2mm right-angle plug to 2mm pin leads, a 9V battery and an adaptable power supply for all four major socket systems (EU, UK, USA and Japan). The explore the audio features it comes with a line-in cable, a 3.5mm female-to-female adaptor for enhancing the line-in’s cable length, a microphone, a CD-ROM with audio files and manuals in multiple languages. Of cause there is printed a full colour manual in English. For a detailed overview of the box’s content read my unboxing. The SensaVox is one of the larger power boxes measuring 145x81x34mm and weighing 245g equipped with a battery and ready for play. The case is made out of a black polymer with now flex so it has a quality feel. The control panel is charcoal coloured with a bit silver dazzle. In the top left corner there is the power button. In the left corner you find the Boost button which will increase the output power by 25% as long as it is pressed. 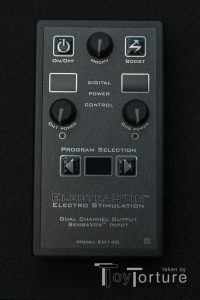 Between the two buttons is the modify knob which modifies the selected programs. Below the two buttons at the top there is a red LED segment display and a knob below them on each side. They are to control and display the output level of the two channels. If the channel fires a red LED below the know flashes. Just below the middle of the front there are two arrow buttons flanking a blue LED segment display which are for selecting and indicating the program which the two channels will fire. The socket for the power supply is located on the left side of the SenvaVox. On top are the 2mm sockets to plug in the leads for the two channels. On the right side are two 3.5mm sockets. The left one is for the line-in, the right one is the microphone input. The back side is covered with a sticker which not only labels the sockets on the side but also provides an overview which program corresponds with the program number. 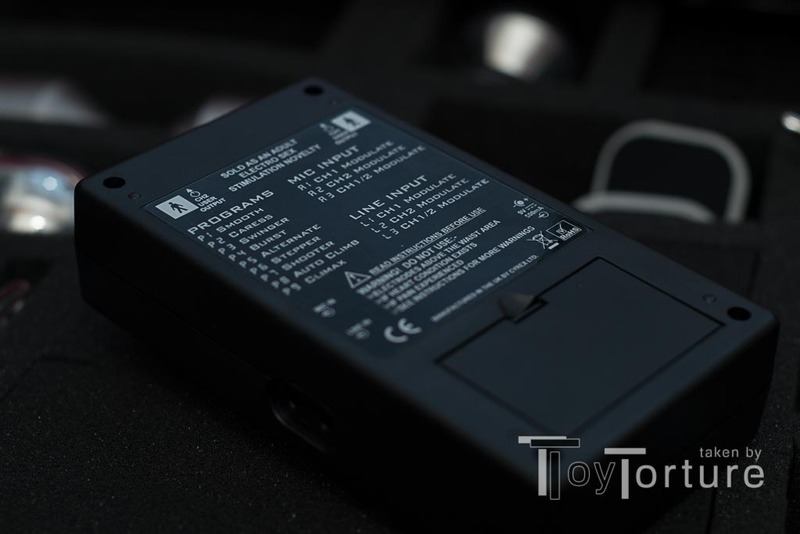 On the bottom of the back there is the battery compartment. To get the box ready for action, press the power button, wait 2 seconds for the self-test to finish and then you are good to go. For safety reasons connect the leads first with the electrodes and then plug them into the box. The SensaVox will always boot to the first program. 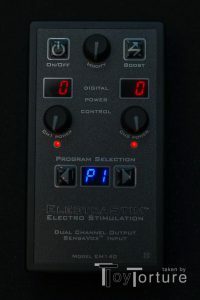 Also, regardless of the position of the knobs controlling the channels’ intensity or the modification they are always (re)set to zero when starting the box or changing the channel. When the channels’ intensity is zero, you can twist the knob counter clock-wise without changing the intensity. I would recommend always turning the know to the 6-o’clock position which with all my other power boxes is associated with the zero position. When starting from this position it takes four complete turns from 0 to the max level of 99. 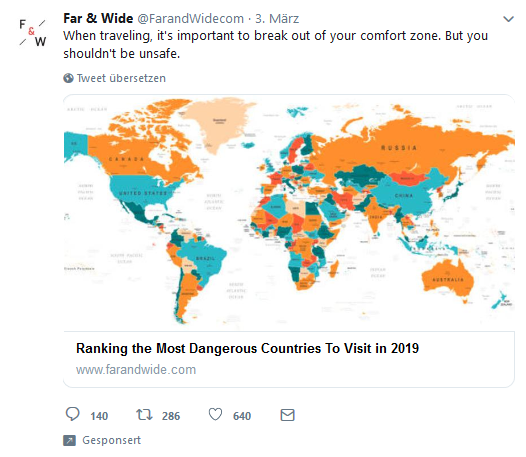 So when starting out at the zero position you have some rough idea in the intensity region you are by just feeling the indicator of the knob. When you turn the knob to quickly the box won’t recognize the input so pace yourself a bit. 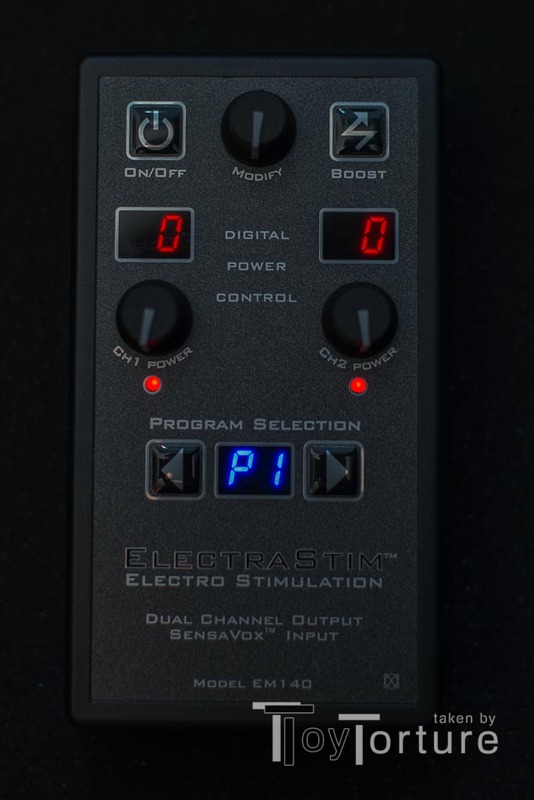 When you want to punish your sub quickly, press the boost button which will increase the output power on both channel by 25% as long as the button is pressed. P7 Shooter Channels are shooting alternating pulses Number of pulses per burst can be selected between 1 and 72. P8 Auto Climb Channel 1: Once intensity is selected, the output drops to zero and starts climbing to the selected level, keeps it for 2 sec, drops to zero and start over. The SensaVox is one of the more powerful power boxes out there. While using the same electrodes with other power boxes I have to set their intensity to between 30% and 40% of the max output before the stimulation becomes noticeable. With the SensaVox this was the case already at between 10% and 15%. I especially enjoyed playing mind games with the boost button. It is a great basis for barter games: Either press it as long as the sub agrees to something or leave him the choice of increasing the intensity or feeling the boost. The max output compares to most elaborate power boxes but the low threshold allows for a fine adjustment and varied play. Having been on the market for almost 10 years the programs and modification possibilities are not as sophisticated as on a way larger and more expensive ET312b. 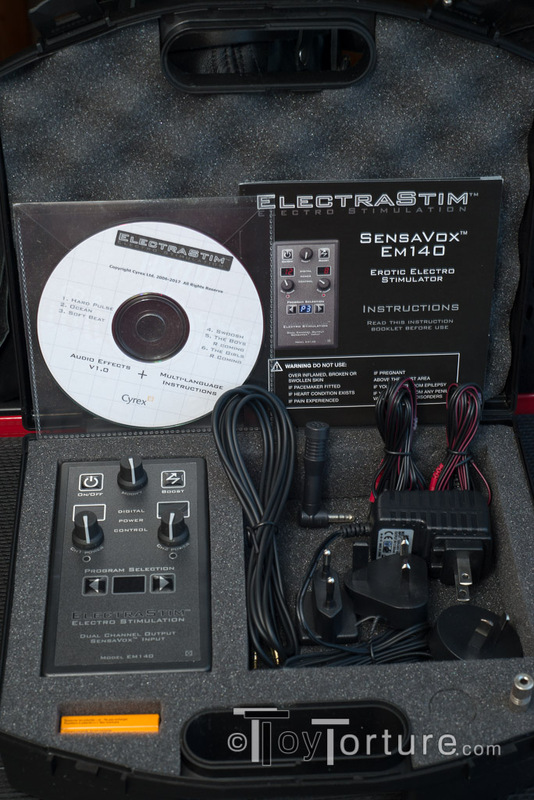 It does also not feature fancy stereo audio processing or remote control over the internet as the E-Stim System 2b. Still I love the SensaVox very much. It has no full text display which requires pressing multiple buttons at the same time to induce different levels of modification. It is easy to use and thus easy to explain to new top. The programs are fun and cover all the desired sensations. Neither I nor my testee panel really felt it was missing a stimulation pattern. One thing which puzzled all testee panel member and me were the different audio sockets for the microphone and the line-in. Cheekily we plugged the microphone into the line-in socket and vice versa – and didn’t recognize a difference. So if you ever spotted a difference between the two sockets, please send me an e-mail. Conclusion: Powerful and easy to use power box with many way to modify the stimulation.